Floor mat is part of a three-mat entry system for a comprehensive defense to protect your entire building from dirt, grit, moisture and stains. 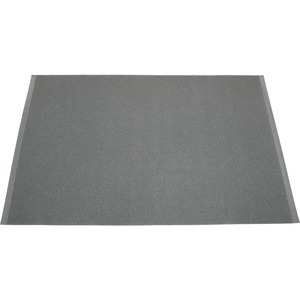 As the second mat of the system, this floor mat can be used indoors or outdoors for light to medium traffic. Mat stops soil and water from entering the building while it protects floors from damaging debris. Polypropylene foam backing traps and hides moisture.